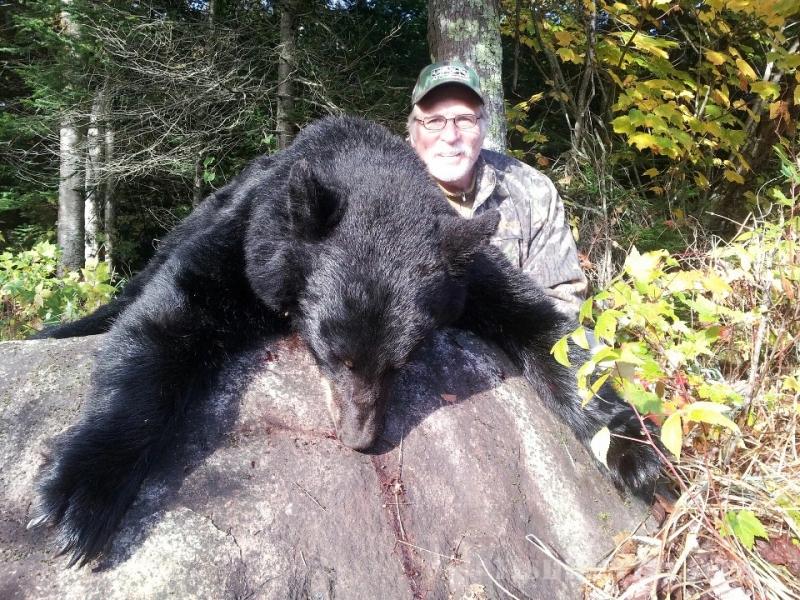 Camp Narrows Lodge, located on Rainy Lake, in Ontario, Canada, offers incredible hunting and fishing opportunities in Ontario’s Sunset Country. We are located on the North arm of Rainy Lake and are a boat-in resort. The area features thousands of acres of Government land to hunt on. Our hunting area has very little pressure, as it is more secluded. 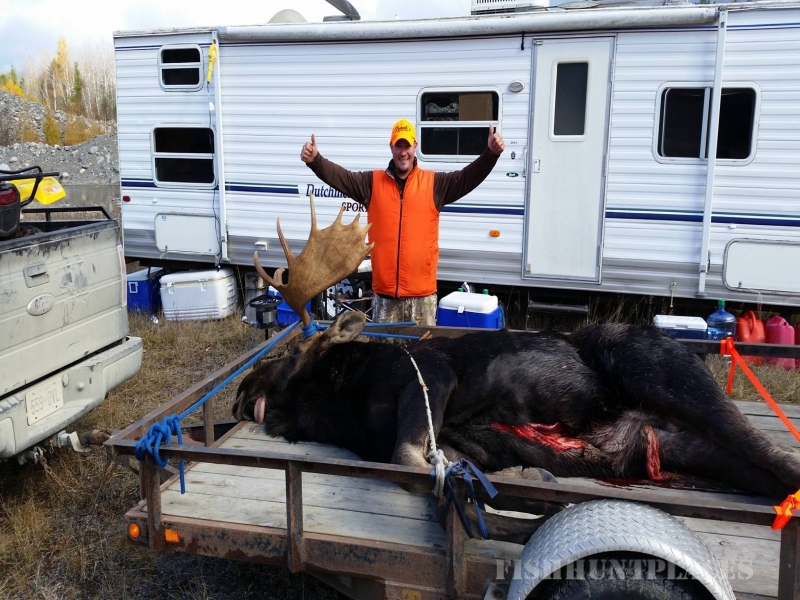 Seasoned hunters and those new to the sport are all welcome to try a little (or a lot!) of fall hunting at Camp Narrows. 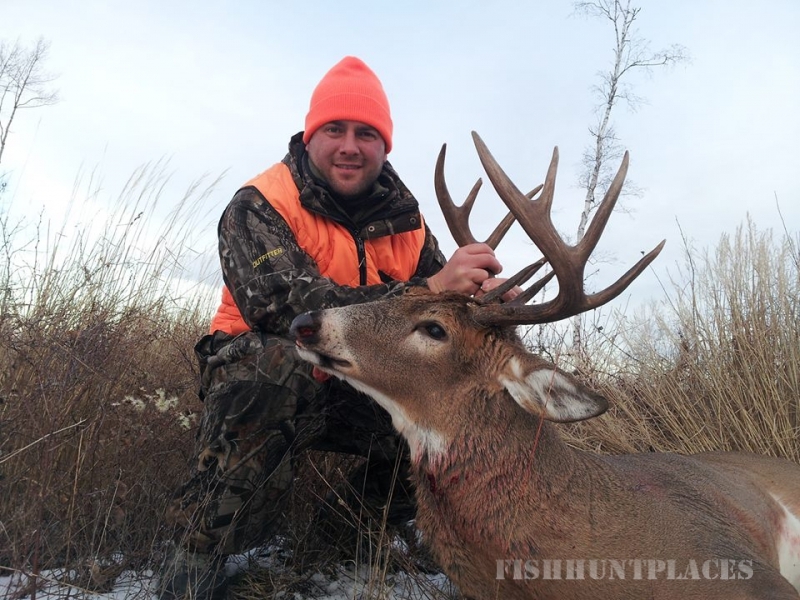 We offer duck, grouse, black bear, and whitetail deer hunting opportunities. For those who just never can get enough of fishing, we make combination vacations available to our guests. For that diehard outdoorsman, who wants to have it all, we even offer a big three combination package. 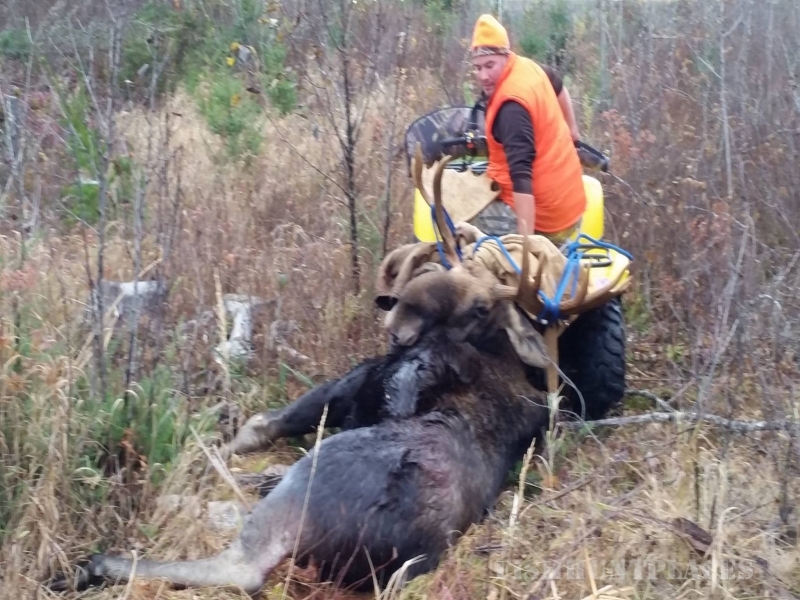 Experience an unparalleled adventure with a “Deer, Duck and Fish Combo.” Our area of Northwestern Ontario also offers plenty of opportunities for grouse hunting too. 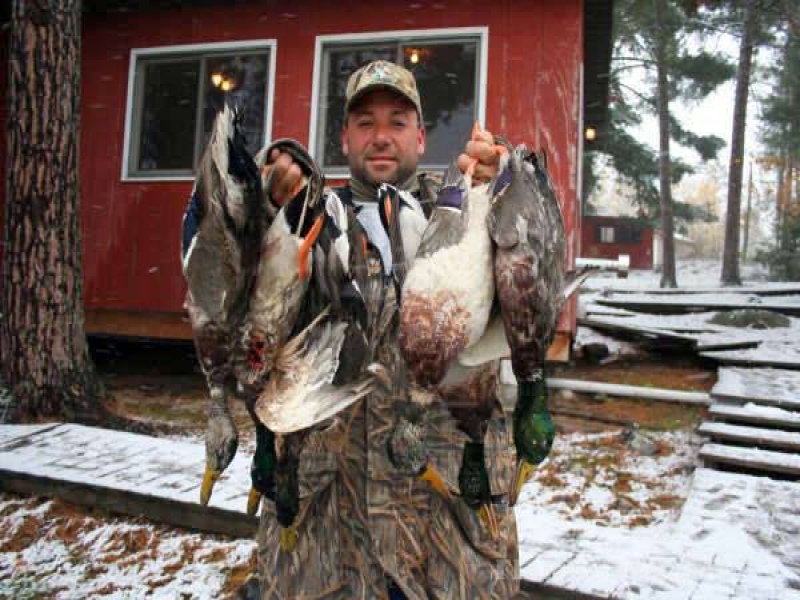 Northwest Bay on Rainy Lake is a prime duck hunting area. Early in the hunting season, we are host to mallards, wood ducks, and teals in great numbers. Throughout October we see the northerns arrive. During fall, rafts of bluebills, ringnecks, buffleheads, and goldeyes will circle your decoys. 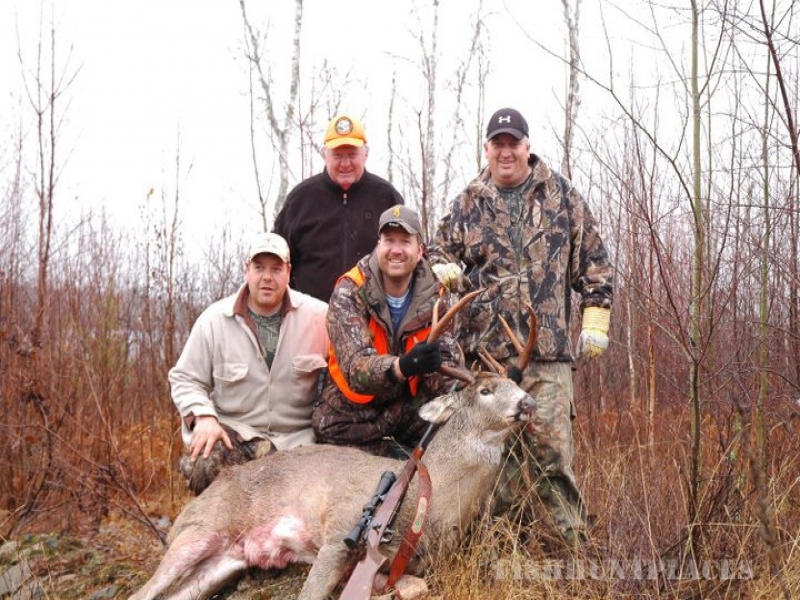 Experience the excitement and rewards of a fully guided deer hunting expeditions. We offer both tree stands and hound hunting options. Our hound hunts take place on islands or point drives, with one guide for every two hunters. Camp Narrows can offer you access to acres upon acres of undisturbed wilderness lands. These vast tracts of undisturbed land allow our guests to use tree stands in locations that have been unaffected by the ravages of the modern world. 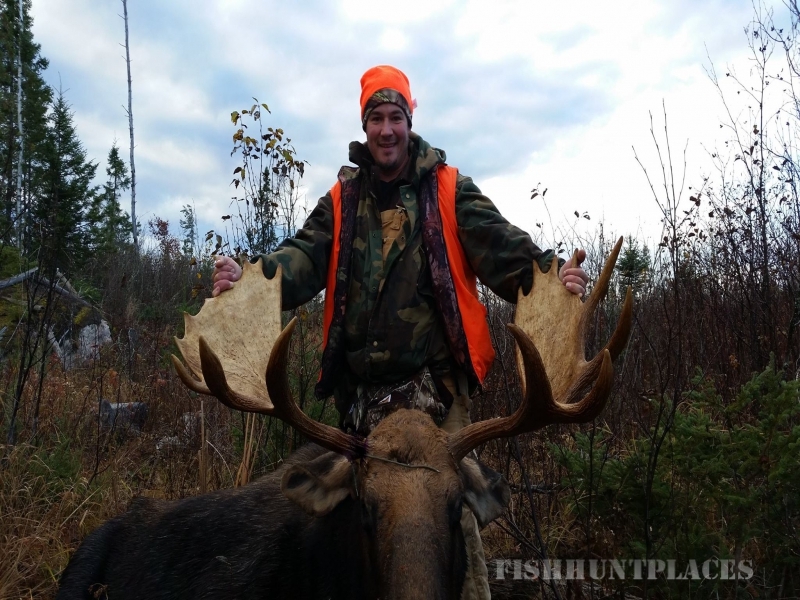 Those who can’t see lake water without coming down with fishing fever can always maximize their visit by booking a combination deer hunt and fall angling vacation package. 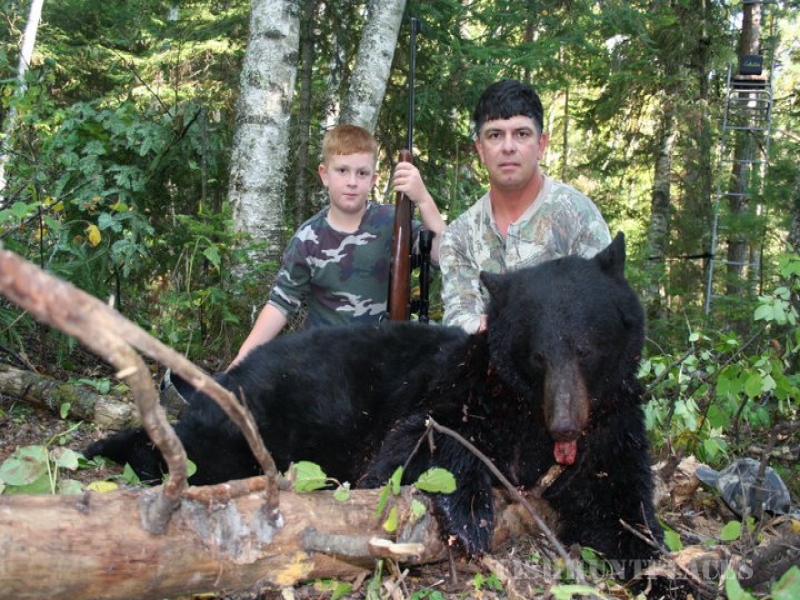 Black bear hunters are always impressed with the size and good health of the black bear population in our area. 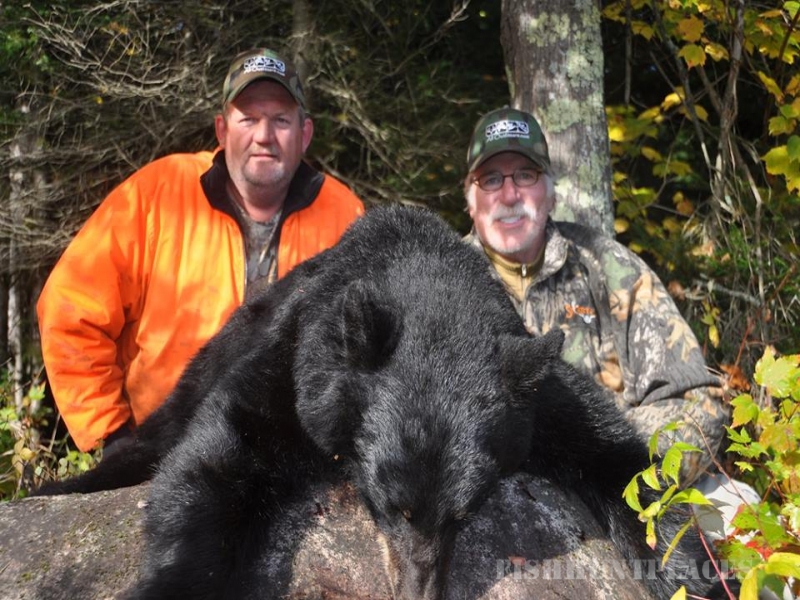 Indulge yourself this fall and book a deluxe full-service, all the frills, American Plan black bear hunt. You can concentrate on your quarry and we will see to all the details. You can also have a combo hunt. 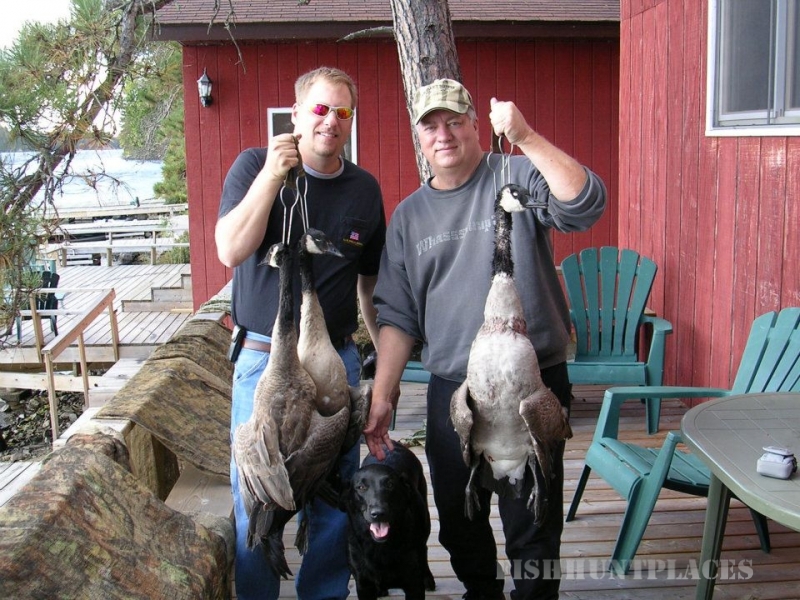 Add a Ontario Whitetail deer hunt or bear hunt to your duck or goose hunting package. 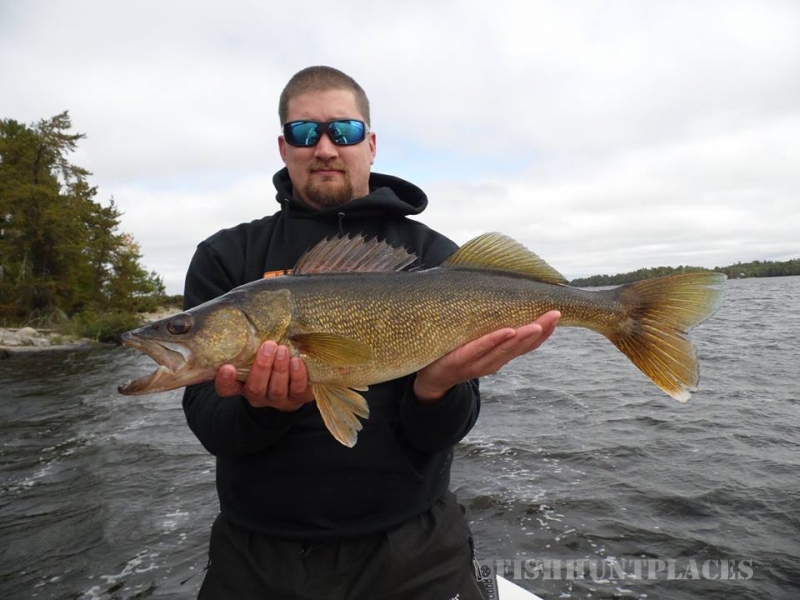 Fall fishing on Rainy Lake is also at its prime. At Camp Narrows Lodge, you can experience almost everything the Ontario wilderness can offer. 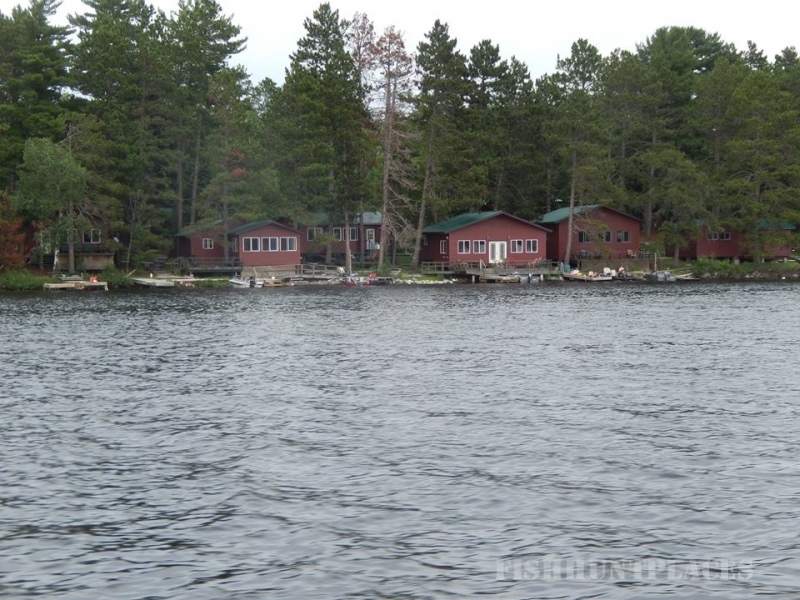 Camp Narrows Lodge is located 25 miles north of the Minnesota/Ontario border. 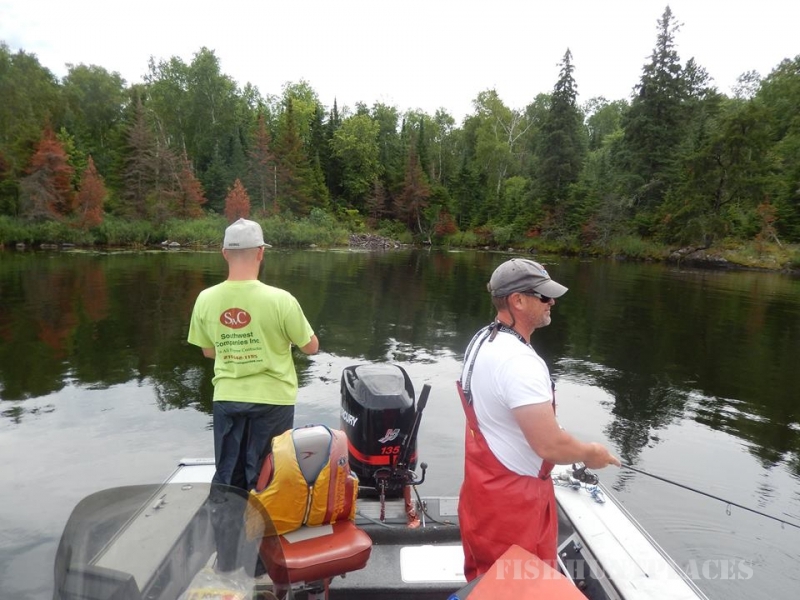 We are located in North West Bay on the North Arm of Rainy Lake, and just 20 miles west of Red Gut Bay. Camp Narrows is a boat-in resort and Fort Frances and International Falls are the nearest towns. We have 7 cottages that are 2 or 3 bedroom deluxe modern cabins with all the facilities you need. Walleye, northern pike, crappie, whitefish, and smallmouth bass fishing can all be enjoyed just minutes from the dock. Our location has the remoteness of a fly-in, but is an hour’s drive from the United States border. If you would like to fish on your own we can mark all the hotspots on our Rainy Lake navigational maps. 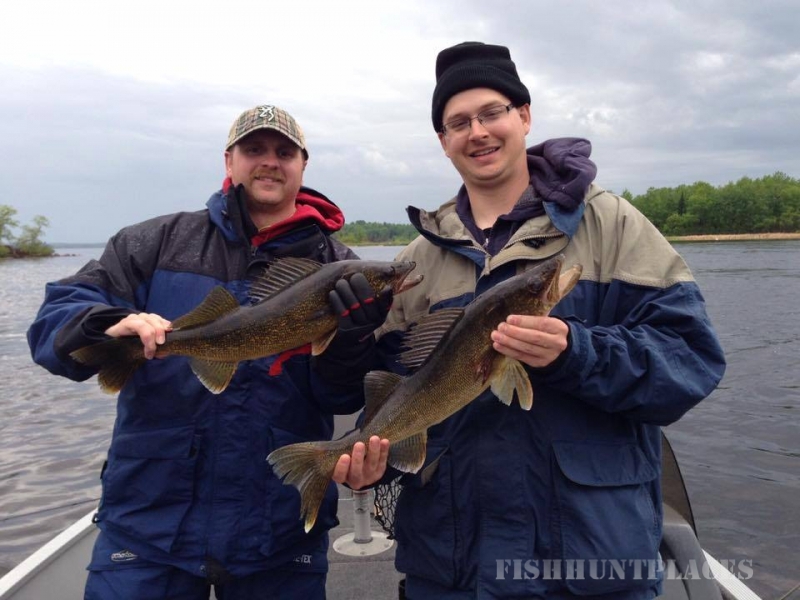 Otherwise our Rainy Lake guides can almost always guarantee amazing fishing. Northwest Ontario’s Rainy Lake is well known for it’s great smallmouth bass fishing and northern pike, crappie, and walleye. Our camp, combined with Rainy Lake’s clean clear waters, has become the avid fisherman’s dream location. 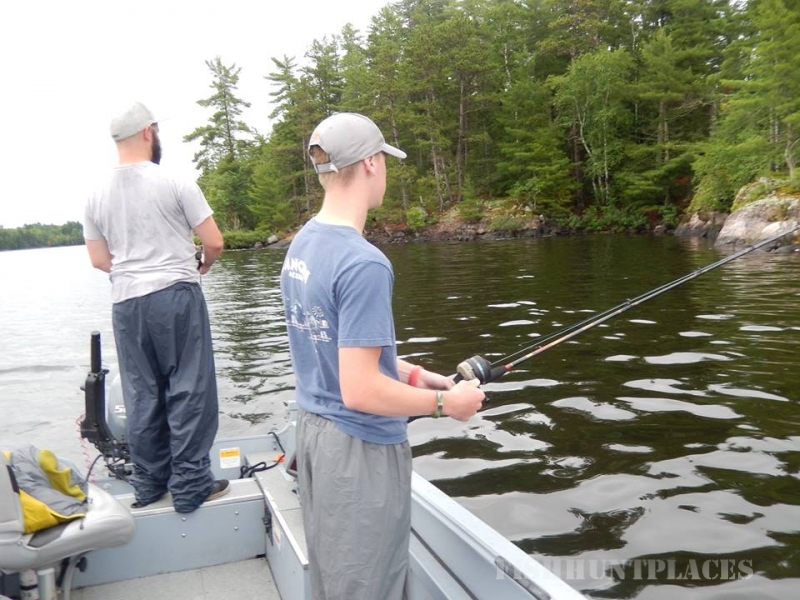 Sports Afield Magazine and Fishing-Headquarters Magazine have rated Rainy Lake among the top 5 lakes in North America for catching trophy-size smallmouth bass. Bass fishermen love our neck of the woods. We have a world-class fishery for bronzebacks in our lakes so be prepared for some fast-action angling spring through fall. 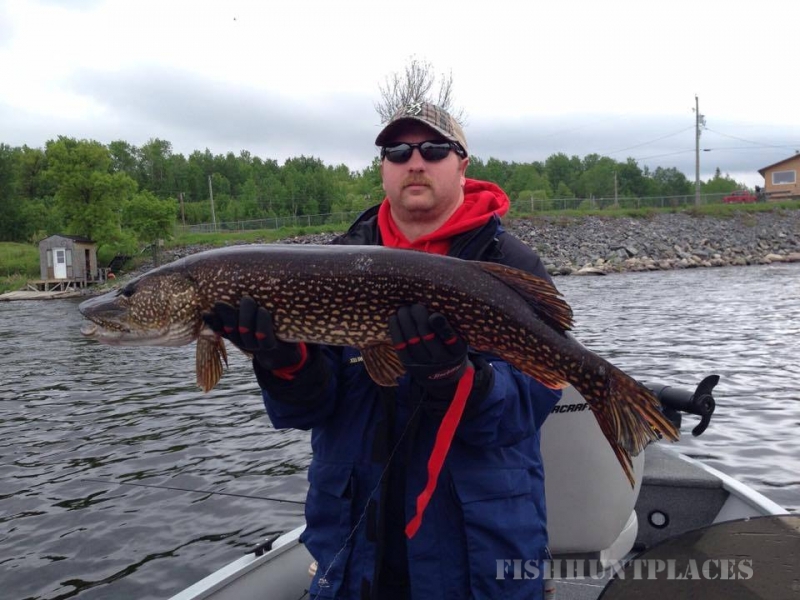 Not to be ignored are the northern pike cruising along the reefs and weed lines. The sense of triumph in landing a monster pike needs to be experienced to be understood. Many fishing fanatics rekindled the fever while landing themselves a trophy pike. Every year many 30 to 45 inchers are caught, including some surpassing 25 pounds. September and October are our crappie months. Late fall jigging through massive schools of crappie will ensure a tasty meal. Many slab 2 lb. plus crappie are caught this time of year. 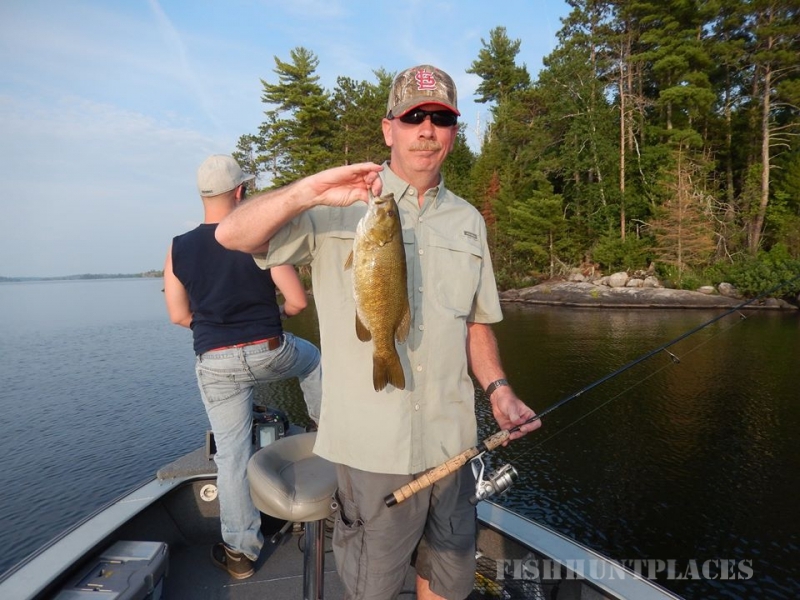 For incredible smallmouth bass action consider a fall trip with us. It may be colder, but the fishing is hot! As the water temperatures cool down below 50 degrees, smallmouth move up onto the reefs and stack up one on top of another. The fish all go on the feed. Rainy Lake’s north arm is full of smelt. This baitfish puts shoulders on these bass, allowing them to attain heavy weights. It is truly hard to say which is better: the size of the fish or the shear numbers caught at this time of year.